I’ve created this card using an old picture from From Grandma’s Attic paper sheet, it adds cool vintage touch to my christmas cards. To accent vintage look on this card I’ve used a crochet doily and some lace and guipure elements. Beautiful papers from the newest collection – Long ago in Bethlehem – made my project complete. 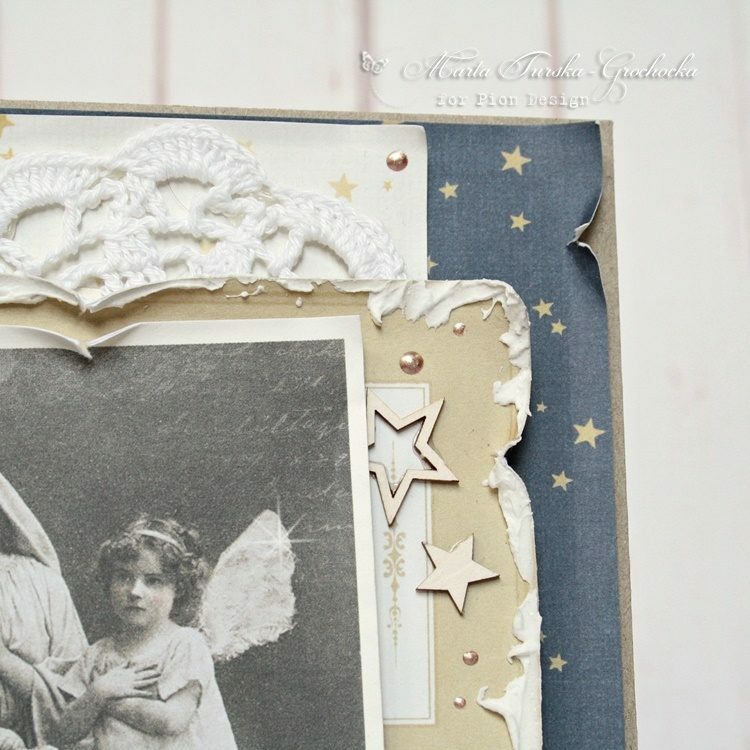 They are perfect to vintage projects and aged christmas cards! Very very beautiful card here today. 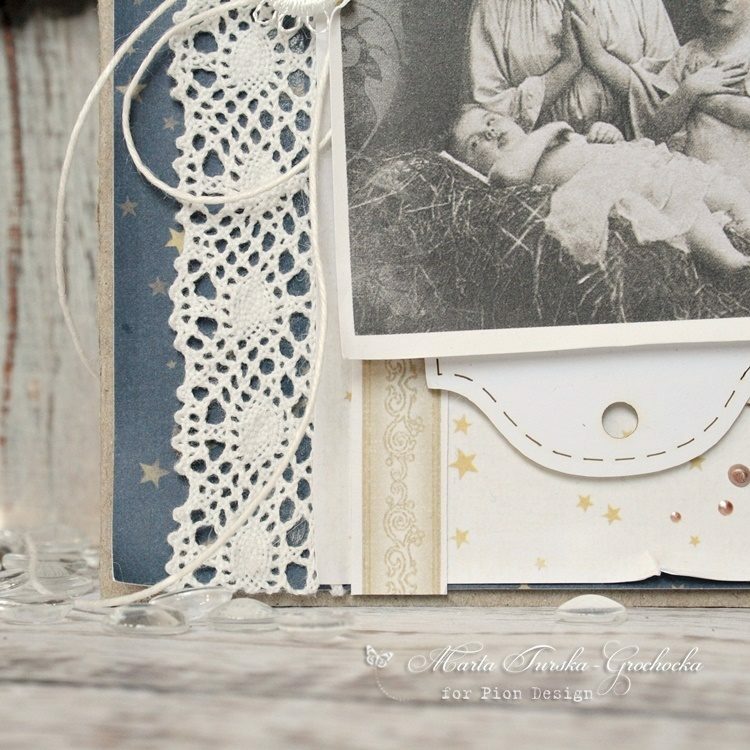 I love the blue shades, you´ve used on this one, soooo beautiful and delicate. Gorgeous work as usual hun, well done.